This powerful, concentrated Dish Detergent cleans your dishes, removing stubborn baked-on food and eliminating grease quickly. Formulated with long lasting suds with powerful surfactants, Joy cleans a wide variety of soils, leaving behind only a fresh lemon scent. The concentrated formula allows you to use less, but still get dishes and cookware squeaky clean. Joy is effective on glass, plastic or stainless steel. 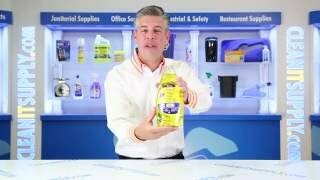 Great for use in residential and commercial kitchens. 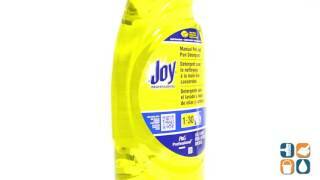 Order Joy Manual Pot & Pan Detergent today and save. Buy in bulk for your business and save even more!